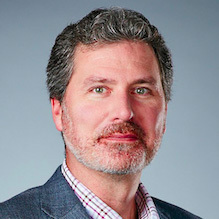 Jim Green is the Senior Vice President of Government Affairs and Public Policy forSalesforce. He oversees the company’s government relations and policy initiatives around the world. Prior to joining Salesforce in 2014, Jim founded T4A.org, a non-profit organization that works to create a network of entrepreneurs committed to redefining the public-private sector relationship. Jim has worked on four U.S. Presidential campaigns, including the 2012 re-election of President Barack Obama. Jim founded and led Tech4Obama and organized the technology industry for the re-election campaign. Jim has more than 20 years of experience in bringing together politics, policy, technology and the non-profit sector. He resides in San Francisco with his wife Cammy, son James Jr., and daughter Mavis.